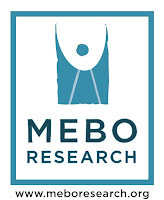 This blog and MeBO are generally aimed at learning about systemic body odor and halitosis, but if we hear of any interesting news about bromhidrosis, we are happy to post it. Whilst hyperhidrosis itself does not mean the person will be prone to bromhidrosis, some feel that hyperhydrosis naturally leads to their bromhidrosis problem. Researchers at Albert Einstein College of Medicine of Yeshiva University and Montefiore Medical Center are seeking individuals affected with hyperhydrosis to determine if the condition is inherited and if so, to identify the responsible gene(s). Identification of the responsible gene may help to determine the underlying cause of hyperhidrosis and be used to develop an effective therapy or even a cure. Study participants are asked to sign HIPAA and informed consent forms, complete a medical and family history form, and submit a sample of their buccal cells. This is accomplished by rinsing the mouth with mouthwash and spitting into a small container. No travel is required and there is no cost to participants. Kits are sent through the mail and a stamped, self addressed envelope is provided for study materials to be returned. For more information contact Betsy K. Vibert, MS, CGC at 877-444-2525 (toll free) or 718-430-3739.